Africa is a continent well endowed with mineral resources. However, it is imperative that mining practices focus on sustainable applications, entrenching mining companies as responsible entities that aspire to minimise – at all costs – the environmental impacts of their operations. It is in line with this principle that global energy management and automation specialist Schneider Electric has set a precedent, thanks to integrated solutions for sustainability in the context of African mining through the intense exploration of key projects that offer significant business opportunities. This approach reaffirms Schneider Electric’s position in gaining a better understanding of the areas in which its mining customers operate, in terms of productivity and sustainability – the driving forces behind the well-being of companies in the sector. Mining is a long-term, forward-looking industry with huge investments at stake, and this includes the welfare both of the people who work in those operations and those who live in the surrounding communities. 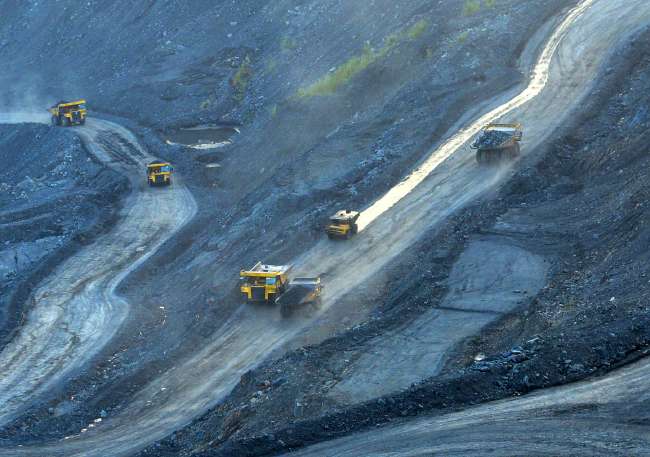 The company helps its mining clients in the areas most critical to their success, priming them for continued growth. They therefore rely on Schneider Electric to assist them in optimising their operations and improve their overall efficiency in a way that is compatible with their social responsibility, namely in a safe, environmentally friendly and sustainable manner that will endure for many years. Schneider Electric solutions ensure industrial operations increase overall efficiency and improve asset utilisation. In the past, water and energy were treated merely as consequences of the process, and the use – or misuse – thereof was rarely considered. The declining quality and growing scarcity of these resources, as well as internal and external pressures have forced mining firms to treat water and energy as critical variables – managing and reporting on them. Schneider Electric continues to provide technology that drives sustainable operations, culminating in energy variables integrated within the process optimisation equation, resulting in a better balance between energy consumption, throughput and quality. Furthermore, implementation of advanced reporting and visualisation tools improve corporate environmental performance and compliance, leading to better awareness and control of energy and water in terms of production. ‘The nature of mining affects its surrounding environment and people,’ says Wilhelm Swart, Schneider Electric vice-president of mining, minerals and metals (MMM) for Africa. Complete integration of Schneider Electric’s MMM solutions comprise safety and security aspects that protect valuable assets through the use of industry-leading video security, advanced lightning detection systems and integrated safety solutions, for processes as well as machinery. This is achieved through a process that ensures safety of redundant systems and architectures, and safeguarding machine safety through dedicated safety controllers and sophisticated systems. This also includes technology such as its weather monitoring software platform, which monitors lightning strikes as they approach a mine, with automatic weather alerts based on customised advisory and warning criteria. The expert consulting services and resource management on offer result in solutions that lead to savings throughout the entire energy management lifecycle, while also meeting sustainability targets. Schneider Electric’s consulting and planning services integrate energy-saving strategies, more efficient purchasing of energy and consumption optimisation – complemented by comprehensive energy solutions that assist in achieving the right balance of conventional and alternative energy sources. With regard to operational efficiency, the total visibility of production processes and optimised operations from end to end is achieved through the seamless integration of control and electrical systems. Schneider Electric’s electrical distribution systems ensure that power is safe, reliable, and available even under harsh conditions. Completing this is protection, control, and automation solutions for electrical networks that reduce outages, manage electrical network balance and optimise energy availability. Intelligent Motor Protection and Control is a service that provides access to valuable real-time information in real time. Another service on offer is Asset Performance Improvement. This extends the useful life of assets, decreases downtime, and improves overall equipment efficiency. Schneider Electric’s experience and portfolio of solutions allows it to help manufacturers of all kinds to optimise the performance and efficiency of their physical assets and extend their useful life as much as possible. It is widely accepted that an efficient enterprise is only as good as the people who run it. As such, maximising workforce efficiency requires having the correct systems and technology in place that will ensure employees are properly trained and prepared for any unforeseen circumstances, and that they have the tools and mechanisms needed to be as effective as possible. It is here that Schneider Electric’s Workforce Efficiency service is of great value. Optimising a company’s value chain is arguably one of the most difficult tasks for mining firms because it involves co-ordinating so many complex, disparate systems and sub-systems that would traditionally operate in silos, or whose goals and KPIs are not aligned to those of the larger enterprise. For this reason, Schneider Electric uses software and services that address the entire value chain, effectively integrating information throughout the enterprise. Community development and access to energy entails obtaining social licences for mining operations that offer opportunities for advancement and development to local communities. These, in turn, benefit the region – from the initial development of a mine, throughout its operation and after it has been closed. ‘Through our integrated solutions on sustainable mining, we want to achieve holistic planning and optimisation outcomes, which are key in galvanising the optimisation of mining operations, from resourcing to the market,’ says Swart. He adds that this can be achieved through efficient data collection and interpretation, as well as proficient integration between plans. 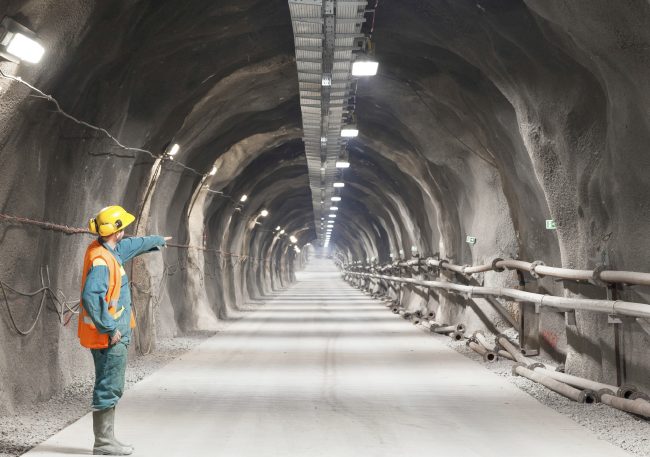 In light of the execution and operation of sustainable mining projects, Schneider Electric continues to lead at the forefront of energy efficiency – from strategy to deployment and performance, ensuring efficiency throughout the entire energy management lifecycle.